This last Tuesday marked my third visit to An Japanese Restaurant (aka An Sushi) since their opening back in October. I arrived for a very early dinner at 17:30 and was the first and only customer for a good portion of my meal, so had my friend Minoru-san's undivided attention. January, as with all winter months, is a good time for sushi, with plenty of deliciously fatty fish on offer. This visit featured some very lovely neta, including good akami, very fat o-toro, and delicious kohada and katsuo, as pictured below. 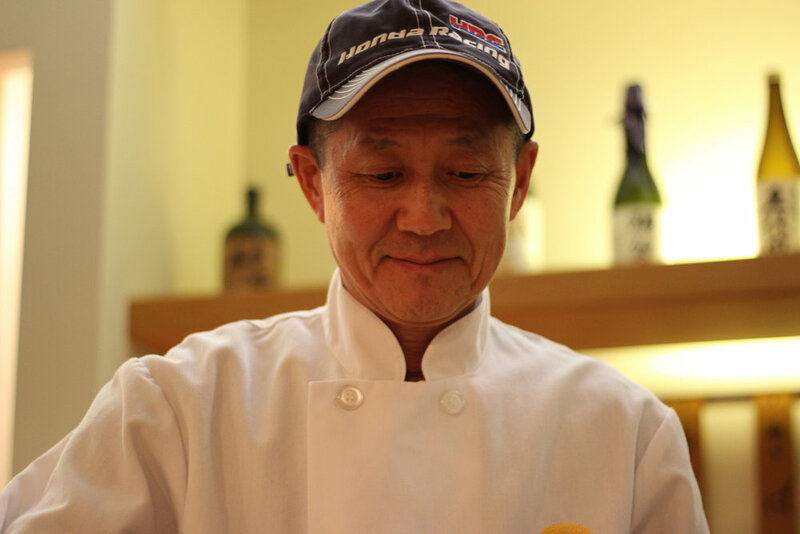 The level of quality remains at a good standard, with very good nigiri being served in a friendly setting. I personally would prefer stronger akasu flavor in the shari preparation, and would also prefer for the shari to be a bit warmer, but these are personal preferences and do not detract much from the quality of the food being served. 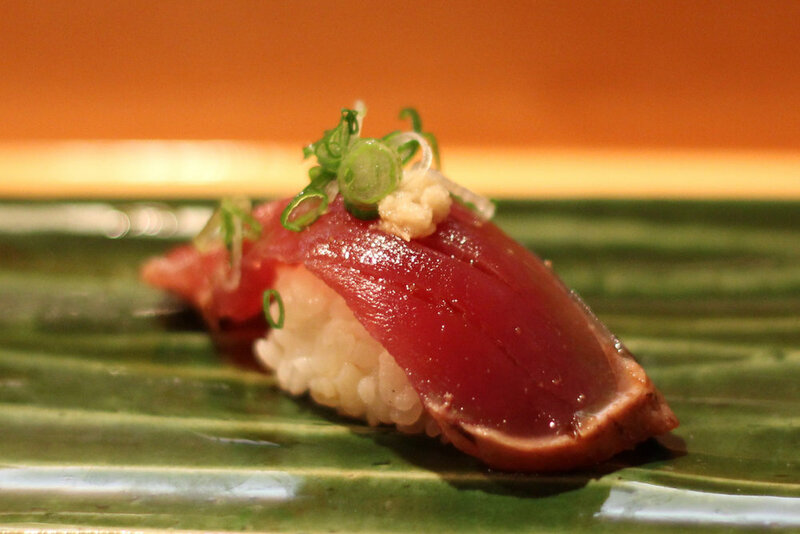 It is still possible to book a seat at An Sushi's bar with virtually no advance notice. Next day, or even same day reservations are easily obtainable with a phone call to Ayumi-san, the friendly owner / okami. Places like Yoshizumi, Kusakabe, or Wako offer fantastic sushi, but some serious advance planning is needed in order to secure a reservation. It is wonderful to have An Sushi available as my "emergency sushi" restaurant for those times when the craving must be immediately attended to.